Hello lovelies! How are you? Today’s blog post. Is all about the All About Reading Books Tag. This tag was originally created by Lines and Life blog. Please leave me a comment down below letting me know what your answers are for this tag. Hope you have a great day. 1. What do you look for most when you pick up a book? I would chose A) A beautifully writing style because I fall in love with the writing first before anything else. 2. What are your pet peeves in books? My pet peeves in books are deckled pages and when books have a cover change before the series is completed and cheating in books. 3. If you could print one quote on your wall, which one would it be? If I could print one quote on my wall it would be “ I am not afraid of storms, for I am learning how to sail my ship.” This quotes is from Little Women. I just love this quote and it’s meaning. 4. Which genre would you like to explore more? The genre that I would like to explore the most is non-fiction because I don’t really read a lot of it but I’m fascinated by it at the dame time. 5. Was there ever a movie adaptation you liked better than the book? Yes there has been a movie adaption that I liked better than the book and that is Stand by Me. The movie Stand by Me was adapted from the short story The Body by Stephen King. The movie just adds much amazing context that the short story doesn’t give. 6. If one of your favorite books would be adapted or get a new adaptation, which book would it be and which role would you like to play? If one of my favourite books would get a new adaptation it would be Anne of Green Gables. The role I would play is Anne because I love her, I aspire to be her and I also love Gilbert. 7. A hyped book you wouldn’t recommend at all? 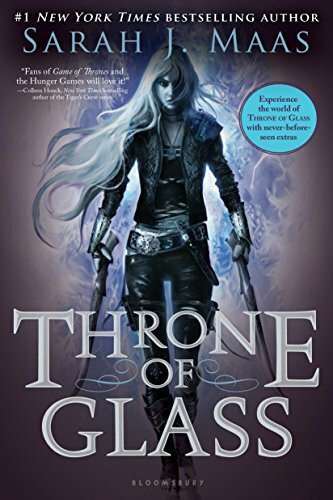 A hyped book that I wouldn’t recommend that all is Throne of Glass. I have so many problems with that book series. 8. A book that highly influenced your life and way of thinking? A book that highly influenced my life and way of thinking is I am The Messenger. This book restored my faith in humanity. 9. Are you a fan of re-reading books, do you do it often? I am a fan of re-reading books and I feel like I do it occasionally. Not as often as I would like to. 10. Which book title could easily be the title of your life? A book title that could easily be the title of my life is My Plain Jane because I don’t live an extraordinary life. 11. Which book should be required reading for everyone? A bool that should be requited reading to everyone is The Perks of Being a Wallflower. This is the type of book that I believe everyone would get something out of and feel connected to the main character in some way. Hello lovelies! How are you? Today’s blog post is all about the books that I bought in the month of February. Please leave me a comment down below letting me know what you bought or received in the month of February. Hope you have great day! These are the books that have surprised me with how much I loved them.